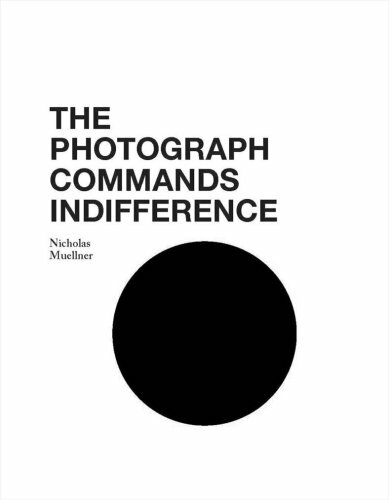 Nicholas Muellner's new book is a personal, historical, and philosophical inquiry into the relationship between photographs and monuments. Built around alternating densities of text and image, each of the thirteen chapters approaches the subject from a different starting point, ranging from reconsiderations of art-historical works, to 1960s era snapshots of monuments in the former Soviet Union. At root, The Photograph Commands Indifference considers the proposition that both photographs and monuments attempt to stop, or restore, the terrible racing away of meaning from subject and presence. As such, Muellner questions the impulse to create material facts from the fundamentally abstract processes of desire and loss that characterize memory.